Make sure to measure the space you’re planning on putting the piece of your dreams. It’s helpful to consider your surrounding area and account for anything that can’t be moved. Often, it might be helpful to lay masking or painter tape in the outline of your piece to ensure a perfect fit. Plan your route and clear it out. Make sure you have a good game plan on how to get your furniture to it's final location. Planning ahead can save a lot of time and hassle when your furniture arrives. Remember, the quickest route might not always be the easiest. 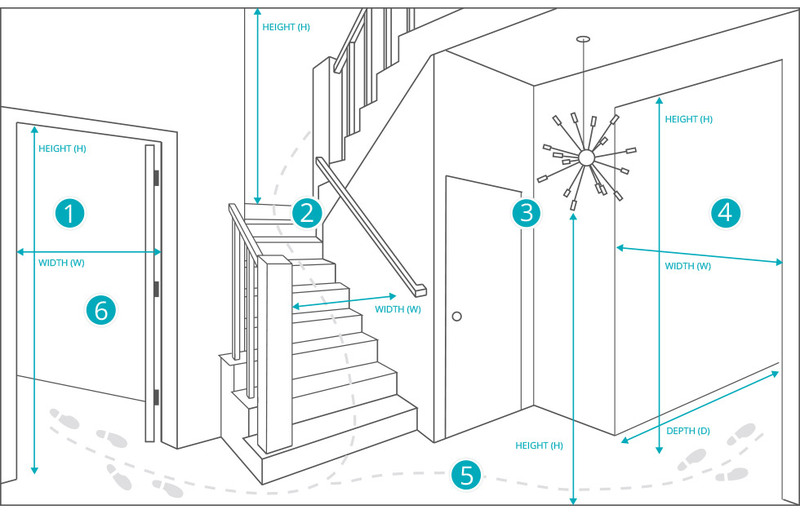 Plan for all the twists and turns that it might need to take as it enters your home. Sometimes the best way to know what you want is to compare it to what you have. Comparing your current sofas measurement with ours will give you an idea of how big our pieces are. For example, if you find that your current sofa doesn't have enough seating depth for your legs, you'll want to find a sofa of ours that has a deeper seating depth dimensions. Ok, so you've placed your order or about to...so what's next? Watch and see what you can expect to ensure you have a smooth and hassle-free delivery.